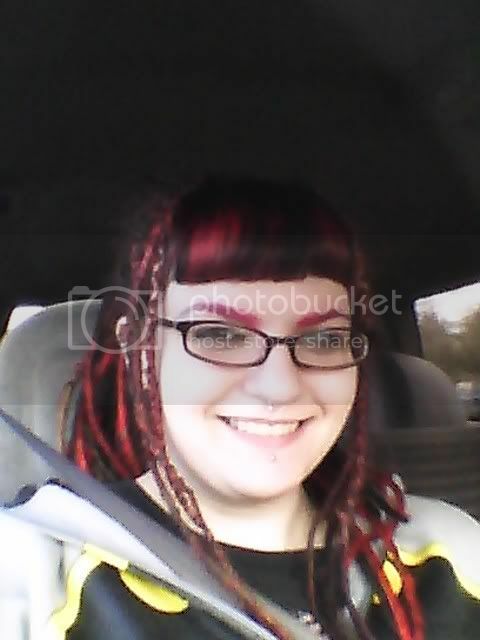 Long time no see I guess it's been awhile since I posted on here, I tried before to make my own dreads but it just took too long per dread and I got frustrated but I finally got around to making a full set not perfect but decent enough as I live near Portland Oregon and see Horrible dreads almost everyday lol. 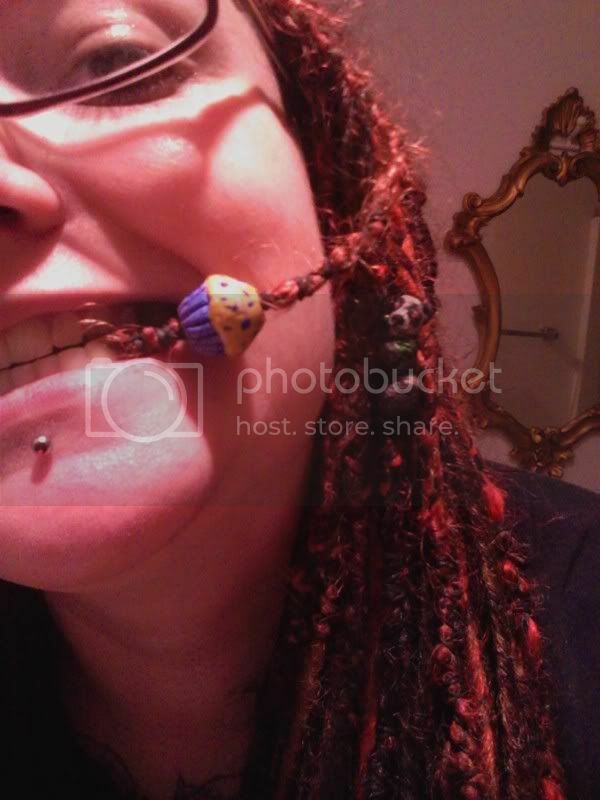 I don't have a picture of the dreads by themselves they're mostly DEs probably around 50 of them because I ran out of bags of hair, that's also why they're skinny but at least I have dreads crappy er not. Yes they are showing! 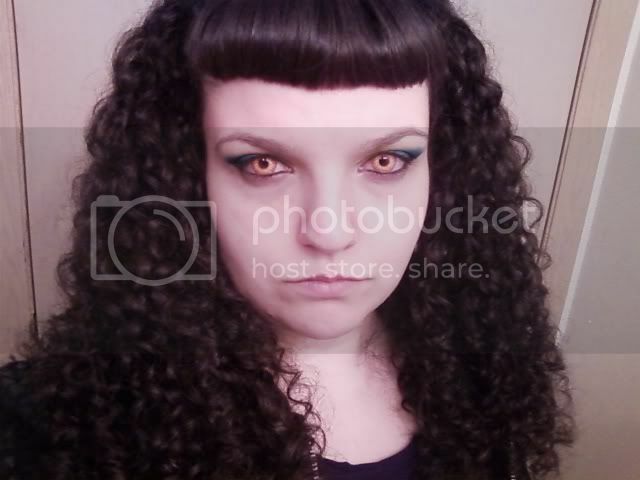 Love your red hair but your natural curls are to die for! 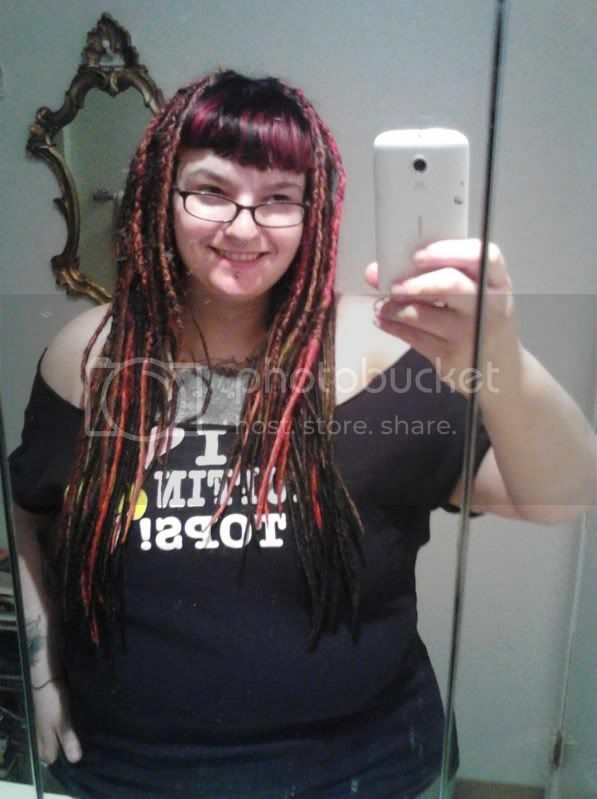 The dreads look Fab on you! How far down does your natural hair go along the dreads when braiding if you don't mind me asking. Most are a lil past shoulder length cause it was my first install and i tried to sort of tuck in the ends. Without dreads my current hair length i think ends at the start pf my ribcage.